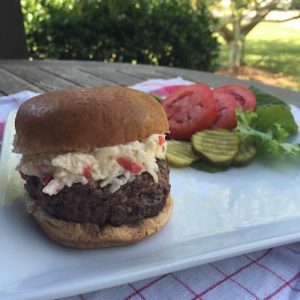 Love tailgate food? 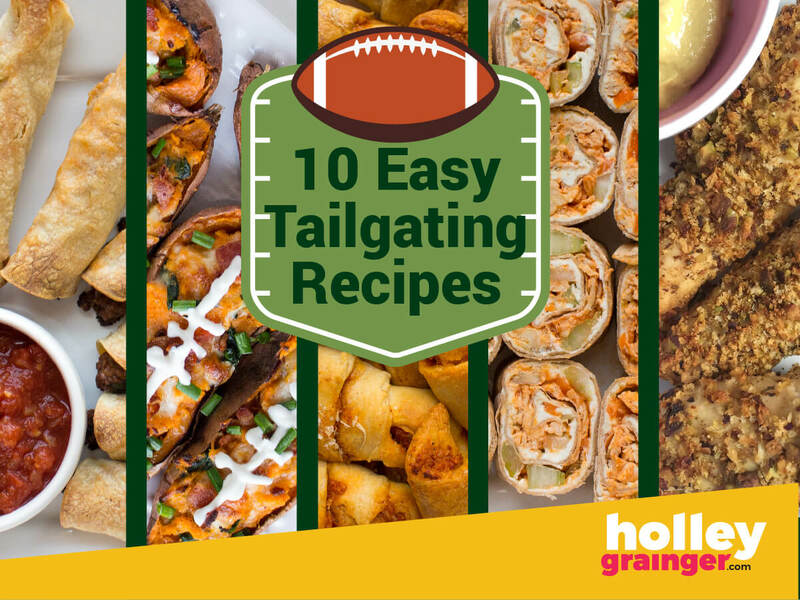 They say the season is won 10 yards at a time, so here are 10 easy-to-make tailgate recipes that are sure to score big points with you and your team (of friends). 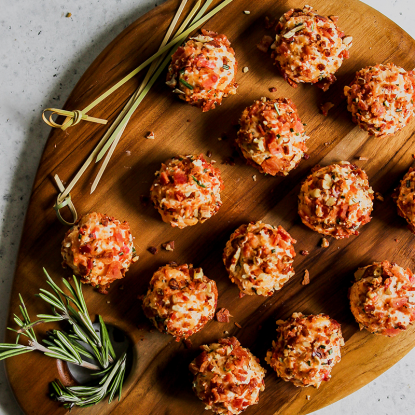 Best of all, these will come together faster than a blitz down the field—and they’re sure to win you a first down at the party. 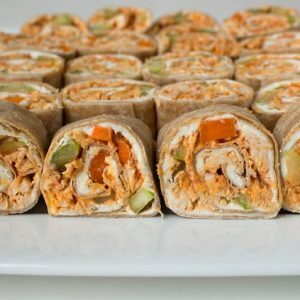 If you love the flavor of buffalo wings but don’t want to bother with the hassle of making them before a tailgate party, try these bite-sized pinwheels. For even more convenience, make them the day the day before the game, then slice them before you leave. 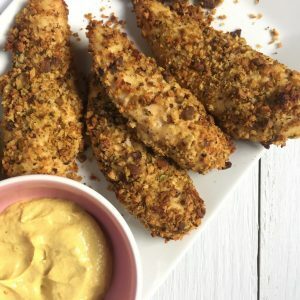 The combination of pistachios and panko here creates a crust that’s to die for, with an amazing taste and texture that makes you forget they’re not fried. Even better, these tenderloins are ready in less than 30 minutes—and you can make them ahead, then pop them back in the oven just before you go tailgating. 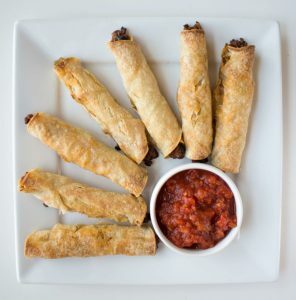 Taquitos… The name means “little tacos,” but round here we think they’re delicious no matter what you call them. But they’re not exactly the healthiest tailgate food: they’re typically fried, and even ignoring that, their nutrition numbers aren’t great. These ones are made with smart ingredients and baked, which means they’re healthier than you’d think. 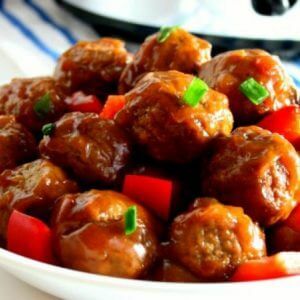 Plus, you can make them ahead of time, then pull them out of the freezer when you’re in a rush on game day. Hungry for more football food? 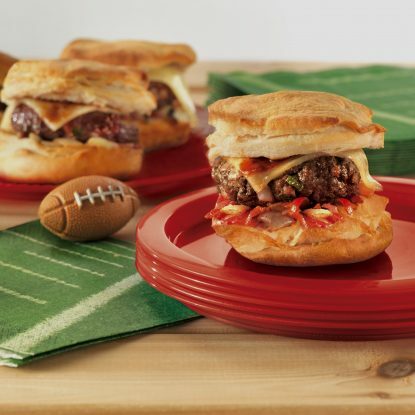 Get your Football Party Recipes” printable! 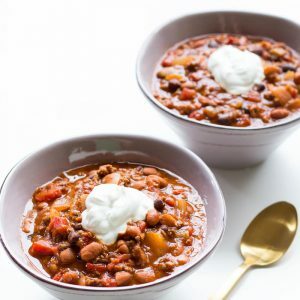 This recipe proves it—you CAN make tailgate-worthy chili in less than 45 minutes. Of course, if you have more time, you can let my beef and butternut squash chili simmer longer to allow the flavors more time to marry. 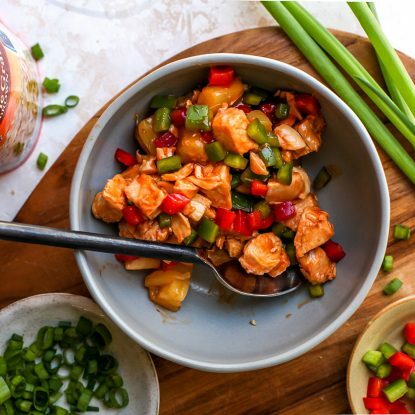 But hey, if you’re going to miss the party, you’ll appreciate every second this tailgate recipe saves you. 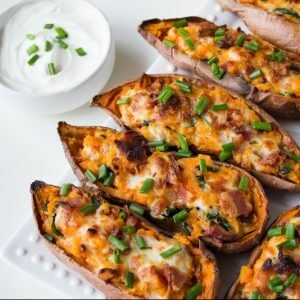 While this recipe may look lengthy, the beauty of it is that the steps overlap so you can get all of your prep done while the sweet potatoes are baking. Here’s a dessert that’s pretty enough to serve at a dinner party… but that doesn’t mean you can’t bring it to the parking lot or serve it at half-time. Trust me, your tailgating friends will fight over it. With an oatmeal-like crust and a yogurt sauce, this is one of my favorite tailgate recipes—and it’ll soon be one of yours, too. Nothing says “party” like pizza, but showing up to a tailgate party with an extra-large pie? That goes against the spirit of the thing—people expect you to put some effort in at least. 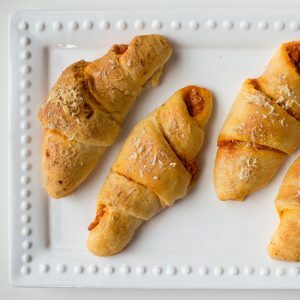 Well, “some” effort is all it takes to whip up these pizza crescent rolls. They couldn’t be simpler, and the taste is addictive.ou. 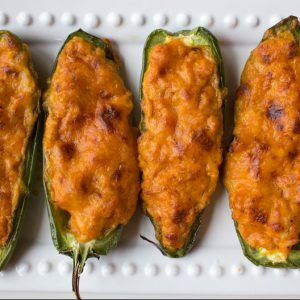 This tailgate recipe gives the venerable jalapeno popper a Mexican twist. Here we dial way back on the cream cheese, and add ground chicken, cheddar cheese, and enchilada sauce. The spicy-but-not-too-hot jalapenos give these a nice kick—and the Mexican flavors bring to mind real enchiladas.